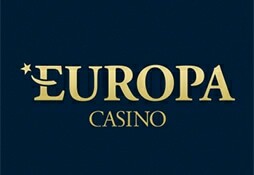 Should you sign up with Europa Casino? Unfortunately, this is not a casino that we can wholeheartedly recommend. There have just been too many instances of their imposing unreasonable withdrawal policies and failing to deal with genuine client complaints. Now, the site has changed from an Antigua license to a far stricter Maltese license in the last couple of years. We can only hope that this will mean a raising of standards because this is a long-standing casino which should be at the vanguard of online gaming, rather than one with a cloud hovering overhead. Europa Casino has been around since way back in 2003, and to be honest, it has not entirely moved with the times. The site design is pretty basic and certainly cannot compete with the latest wave of online casinos in terms of originality or aesthetic appeal. What it does have to offer is a good selection of Playtech games and an eye-catching bonus – but more of that later. There have been problems with this casino in the past, and we are not going to try and pretend otherwise. Keep reading to get the lowdown on the casino that calls itself ‘Europe’s premiere online gaming destination’. If we tell you that Europa Casino is offering a bonus of €2,400 – would that get your attention? Thought so. However, the old saying about looking a gift horse in the mouth is pretty apt in this case. This is a pretty convoluted bonus award and certainly not as impressive as it sounds. What is actually on offer is a 100% bonus of up to €100 based on the first deposit of each month. The bonus must be claimed in that month by wagering 20 times your bonus plus deposit, otherwise your bonus and winnings are void. This can be repeated every month up to a maximum of €2,000 in bonus funds over the life of your account. The €2,400 comes in if you are a high-roller and deposit at least a grand in the first month, in which case you will get €500 bonus. Additional bonuses of 10 and 15% are on offer if you choose to use certain payment methods to deposit with such as Giropay or UKash. These are basically incentives to use some of the less commonly selected deposit methods. Loyalty bonuses and free spin bonuses are available to regular players as well. Visa and Mastercard are the most popular instant deposit method, but be warned that outside of the UK and Ireland Mastercard will not usually permit withdrawals from online casinos. Payouts take between 1 to 5 working days with cards, so if you prefer a faster option then Neteller or Skrill may be for you. Bank transfers are available, but this can be a slower and more expensive option. There is a good selection of payment methods available with Europa Casino, but we are deducting points as it has not always been easy to get a quick response to queries about withdrawals, which can be concerning for players. There is a payout limit of £9,990 per month in force here, which is fine for most people but a problem should you happen to hit a million pound progressive slot jackpot. Fans of Playtech will be able to enjoy the full range of their games here, over 400 in total. Some of the most popular of these include Jackpot Giant, Great Blue Jackpot, God of Storms, Halloween Fortunes and King of Olympus. You may have noticed a few progressive jackpots in there, which brings us back to that restrictive withdrawal policy. Maybe Europa isn’t the best venue to try one of those massive jackpot slots, but they do have a good selection of casino table games to offer. The live dealer selection is good too, and the site is optimized for mobile play. Playtech is one of the biggest and best developers out there, and their games are generally reliable if not mold-breaking. Look: there is no point in pretending that there have been no issues with Europa Casino and customer support in the past. Although the site states that there is support available 24/7, it is an unavoidable fact that there have been red flags with regard to not replying to customer complaints in the past. However, they are available to get in touch with by phone, email and even fax or post. We would like to see a live chat option but sadly that is not available at the moment. We hope that Europa will move with the times and introduce a speedier response system but they have not excelled at customer support in the past and the absence of a live chat button is a serious omission in this day and age. There have been too many concerns about Europa Casino in the past to give them a glowing review. Those issues have included a reluctance to pay out winnings, restrictive monthly limits and sluggishness when it comes to dealing with customer complaints. The bonus looks too good to be true, and frankly, it is not exactly what it appears to be. There are good casino games on this site, and it has been around for a long time, but it is impossible to ignore the negative aspects that go along with this site. We hope that the change from an Antigua licence to a Maltese one will lead to a raising of standards, and that the casino will look at changing the bonus structure and wagering requirements, as well as removing the monthly withdrawal cap. Until that happens, there are many better gaming options out there which offer a more secure and transparent customer experience.